Fire safety is an important issue to consider, it is what you do to ensure that your family are safe if the worst was to happen and a fire broke out in your home. 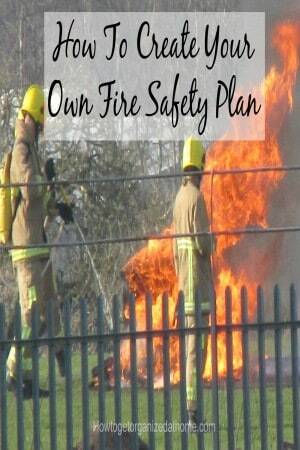 The only way you can do this is to create your own fire safety plan. It will help you go through the basics that you need to understand how to get out of your home and what you need to do. You need to ensure that you have multiple escape routes that you can use from different areas of your home. It is important that you know where to go and what to do if a fire should break out in your home. It is a great way to discuss this area with young children; you are telling them about the dangers and then giving them the skills to get out. However, don’t forget visitors who stay over for the night, do you go through a fire safety plan with them? Do you tell them how to get out if there is a fire, do you tell them where you keep your keys, so they can get out of the door if they manage to escape their room? This information is important if you don’t want to go over this information verbally, having a fire safety plan in their room might help to provide the right information without having to go into any sort of detail with your overnight guests. Creating your own fire safety plan is a great way to discuss the dangers in our homes that can cause fires or objects that can prevent a safe exit in case of escape. Cables left crossing the floor. Items left on the stairs, these are a trip hazard and can increase the danger of using the stairs. Locked doors with no information to the whereabouts of the keys. It isn’t about scaring children, but making them aware of the dangers and giving them the tools they need to make choices that could save their lives. Often fire departments will visit local schools, or put on local events where they can talk to children and connect with them, putting over the message in an age appropriate way, the dangers of fire and what you need to do to get out. With the increasing popularity of stoves, where you can have a fire to heat your home, it is important that you take those precautions, which allow you to protect your family and your home. Talk about the dangers of getting too close to an open fire, the potential for sparks to fly out of the fire so use a fireguard to provide protection to your home. Fitting and ensuring that you have working fire alarms is important, but you have to know what you need to do if you hear the alarm goes off. Having a fire blanket in the kitchen is a great idea; it might save your home from a fire. Putting this information together is important; it is what makes your plan unique to your home. A map of your home with the different routes marked showing the way to get out. Where the meeting place is once you are out. Where the door keys are so visitors can get out. What to do in case of fire, a brief guide so you can go over the main points with your family regularly. Don’t forget to have one printed up for your overnight visitors, so they know what to do in case of emergency. Therefore, creating your own fire safety plan is important; it helps to open up the topic for discussion and is an ideal opportunity to work out the details and ensure that your home has working smoke detectors and you all know what to do in case of an emergency. 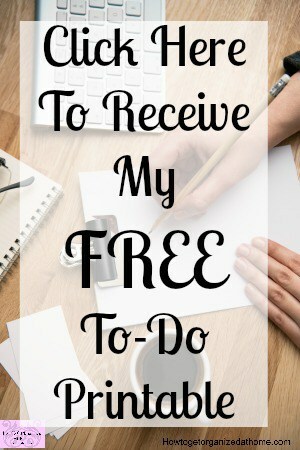 If you are looking for more articles on this topic head over to the landing page where you will find links to other posts on household information.